Something my wife and I made by total happenstance. Had a few too many folks show up one day for a party and made the best out of what we had. We haven't cooked regular burgers since then. No particular seasonings but we've used ranch powder mix, Tony Chachere's, salt/pepper.....whatever you like. 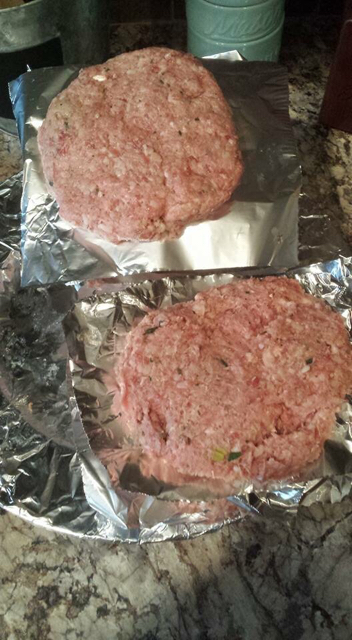 Mix all ingredients together, make the patties, grill on your choice of fuel and enjoy! Interesting. May have to try that one. Made it tonight with some axis meat also diced up some bacon and threw it in there too because bacon never hurt anything! Turned out really good! Man my mouth is watering now.... Sounds amazing. 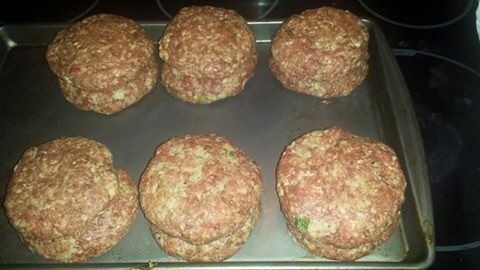 That was some good burgers....Just went with boudin, deer meat and seasonings. Definitely will be doing it again. Do yourself a favor and add the sausage! I’m going to try the boudin and venison. Sounds great.